This is going to be a very quick post because the clock is ticking - LIMITED TIME OFFER, presented by Perri Jackson (ShaktipajDesigns) at USD$5 only, nobody knows when is this going to end so please act fast! 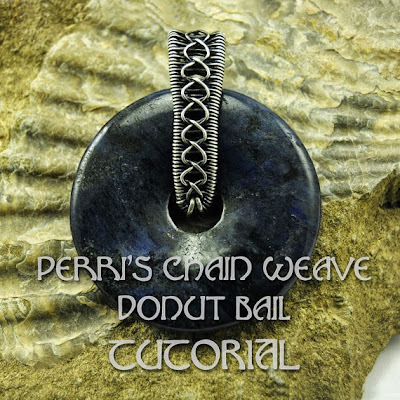 A wire-woven donut bail with a uniquely designed and decorated woven chain link appearance on the outside and an absolutely smooth inner surface – doesn't catch on hair! 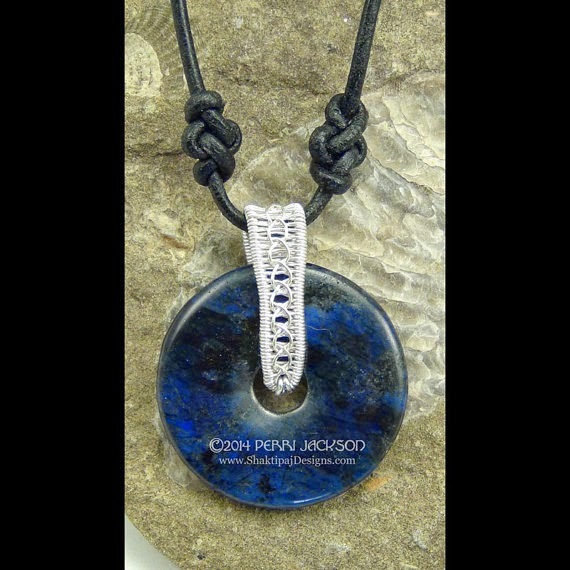 Perfect for use with kumihimo or sari silk ropes. Learn to create the decorative braidweave and bail. Learn a method for creating perfectly spaced weaving frame wires for any weave. Learn how to gradually and evenly widen and taper weaves. Learn how to finish wire ends almost invisibly.. Presented in an easy to understand, step-by-step comprehensive format, this tutorial contains 21 pages with over 60 clear and close photos. Numerous tips and troubleshooting make this project easy to finish and help you create your own personal variations. This tutorial is written as an Intermediate project but could be successfully attempted by a dedicated beginner. For best results, some knowledge of coiling wire and general tool handling are advised. Your tutorial will be delivered from ***Shaktipaj Designs*** as an INSTANT DOWNLOAD link to the email associated with your Etsy account usually within 5 -10 minutes. If you do not see it, please check your spam folder. Please don't delay downloading these to your computer. You will have 3 download attempts and the links will be active for 48 hrs. You will receive a single link which takes you to a personal download web page. You can view file information as well as remaining downloads and their expiration date, and have the option to either "open" or "download" your files. Questions? Send her a note! - She'll be happy to answer! Enjoy creating those little details that make all the difference! This is PDF file - To view this tutorial you will need a free copy of Adobe's Acrobat Reader, however most computers with basic programming are already capable of reading a pdf file. This Listing is for the Perri's Chain Weave Wirework Donut Bail TUTORIAL ONLY - no physical piece of jewelry or materials required to make the actual piece are offered in this listing. Thanks so much for the shout out and compliments, Corra!!! I totally appreciate the support!